Athletic fit is made for athletes and is slim through the shoulders and body. Ribbed V-neck with contrast tipping. Cooling Climachill. 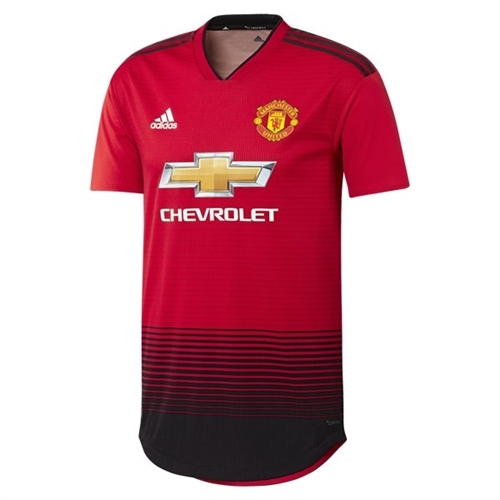 Our adidas Manchester United Authentic Away Jersey 2018-2019 is for when the Red Devils bring their intelligent striking and unbreakable defending to the home pitch. Celebrating the club's 140th anniversary, it features a bold design that draws on its railway roots for inspiration.